As all eyes focus on Brexit – where everything has changed but nothing has started – there is another proud European democracy which would like to shut its doors to immigrants, but keep open the EU’s doors to its goods and services – Switzerland, writes Denis MacShane. Today (19 September), European Commission President Jean-Claude Juncker travels to Zürich to meet the Swiss President, Johann Schneider Ammann. The latter is president for a few more months because the secret of Swiss democracy is to ensure no-one has much power. So the president changes every year and the 7-strong federal cabinet always has conservatives, liberals and socialists in its ranks. The Swiss have perfected the art of permanent compromise and consensus. But so far they have been able to find neither compromise nor consensus with the EU. As in Britain, those pesky populist plebiscites keep getting in the way. There was never much chance, given that 24 largely-autonomous cantons which set their own income tax, have their own police forces and education systems, and where a referendum can be called at the drop of a few Swiss francs, that the Swiss would join the EU and accept the supremacy of EU laws. William Tell did not shoot the apple off his son’s head to subjugate himself to a superior European entity. In 1992, the Swiss voted against joining the European Economic Area, and in 2014 voted in another referendum to limit the number of European immigrants coming to live and work in Switzerland. Berne had been forced to accept free moment as part of a complex sequence of bilateral agreements that gave the Swiss access to the Single Market for part of its business community if not for all key financial players. In a sense, it did not matter, as UBS and Credit Suisse, and other household Swiss business names are well-installed in London, or other EU capitals, from where they can conduct single market business, albeit not in key financial sectors. 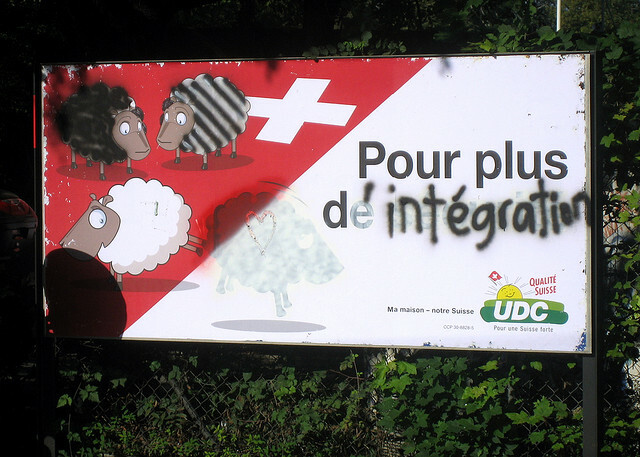 A populist anti-immigrant campaign not dissimilar to the UKIP and Conservative rhetoric against EU immigrants culminated in a referendum in February 2014 writing into the Swiss constitution the obligation to limit free movement. The response of Brussels and EU capitals was much as it has been to Brexit – the Single Market and Free Movement are twin sides of the same coin. You want one, you have to accept the other. Bern and Brussels have been locked in a loveless tango ever since. The Swiss have put forward a scheme which would first give jobs to local Swiss citizens and if none were available then a European could be a candidate. Few Swiss want to do the hard immigrant work in construction, or mountain catering, or caring for elderly Swiss, but since 1950, every European Treaty has included a non-discrimination clause, and however neat the Swiss proposal appeared, in the eyes of Brussels, it looked to be full of holes. Moreover, Brussels is fed up with endless negotiations with the Swiss over every aspect of single market access from energy to electricity and said that in the future, the Swiss would have to accept the supremacy of the European Court of Justice in cases of a difference between Brussels and Berne. That is a hard sell to a Swiss culture of always being independent of any outside control. So there is now an impasse. The EU would like the Swiss to organise a new referendum to get support for a final EU-Swiss deal, but Swiss politicians know what the result will be, so cannot accept the EU offer. France and Germany have close frontier ties with Switzerland and will avoid any dramatic confrontation. But the Swiss hopes of getting wider access to the EU Single Market are not getting anywhere and there will be no more bilateral deals. So if in Britain, the Brexit negotiations haven’t even begun, in Switzerland, there is nothing more to negotiate and Swiss-EU relations go into a deep freeze with Bern having to accept what its neighbours – Germany, France, Italy and Austria – decide across a range of policy areas without any say or influence. The lesson from Switzerland is that a populist referendum solves very little, and the rhetoric of a public meeting or TV debate cannot change the reality that the EU exists, and that its member states are not going to allow a neighbour big or small to ‘have its gateau and eat it’. Swiss businesses will have to put up with the problem, but the happy days when Switzerland got on well and easily with its neighbours are receding into the past. They should get the EU to get it’s tanks off its mountains & take back control of it’s own destiny. The EU will fall apart or engage in confrontation with Russia wither way leave them to play their silly games. Clear Switzerland just limit its Freedom of movements and breach the E.U. rules ! Erasmus is a part of it ! So I fear the E.U. is right and Swiss not ! Same ia happening to UK now ! They choiced get full out and must assume that their free trade has gone sunken .Sunken not by the EU but by Britain itself . What else do you expect about cut “power supplies” ! Tarte à la crème ! Time the E.U. was too generous is over now . Remember for years European ocuntries paid for every exports to its neighbours fees ! The byline is incomplete – Denis MacShane is an ex-convict who was jailed for fraudulently claiming expenses while an MP.